When it comes to selecting curtains for windows, many people often left indecisive owing to the massive variety of window coverings available in the market. There are curtains in many different styles as well as smart and stylish blinds of countless types to pick out from. In this article, AmerAdnan will explain how you can buy and install the best curtains for your home windows. The first question many of us would ask is where to start from? The functionality plays vital role when choosing the curtains. If you are looking to achieve privacy for your room, the best idea is to opt for lined curtains. However, people who like to see the light filtering through curtains can go with the unlined simple curtains. The curtains with lining can be little expensive however, they comes packed with endless benefits. The curtains with lining are protected from the damage caused by direct exposure to sunlight. Moreover, those people who not only want to maintain privacy, but also like to completely block the sunlight from entering the room, there are curtains with interlining. These curtains come with a layer of flannel-like fabric that is sewn between lining and the curtain fabric. Which Fabric Texture, Color & Print to Choose? After having decided between the curtains with or without lining, the next step for you is to finalize the type of fabric, its texture, color and print type. Texture: By keeping in mind, the mood of a room, one can better decide which texture to choose for the curtains. For instance, when it comes to the formal spaces, the heavy velvet or silky curtains are considered not only the best choice, but also a stylish one. The velvet and silk are dry-clean only materials and are really good insulators. There are also washable silk rayon blends and cotton sateen available to choose from. On the other hand, billowy linen and crinkly crushed velvet curtains are considered the best choice for casual spaces. The pure cotton curtains as well as cotton blend curtains are considered all-rounders that match well with all kinds of décor. Color: Choosing the right color of curtains requires you to have a really good aesthetic sense. This is where many people make incorrect choices and end up selecting curtains that do not match at all with their home interior. There are two ways of choosing curtains color; one is to blend them with the home’s interior décor, whereas other option is to pop it up with a contrasting color. The curtains that are of the same color as the wall, but a few shades darker would make the curtains stand out. Print: Another important thing to consider is the print-type of your curtain. The rule of thumb here is if you have patterned furniture or bedding, the best idea is to pick plain curtains also known as solid curtains. Likewise for people with a solid-color furniture or bedding, the best choice is to go for patterned and printed curtains. 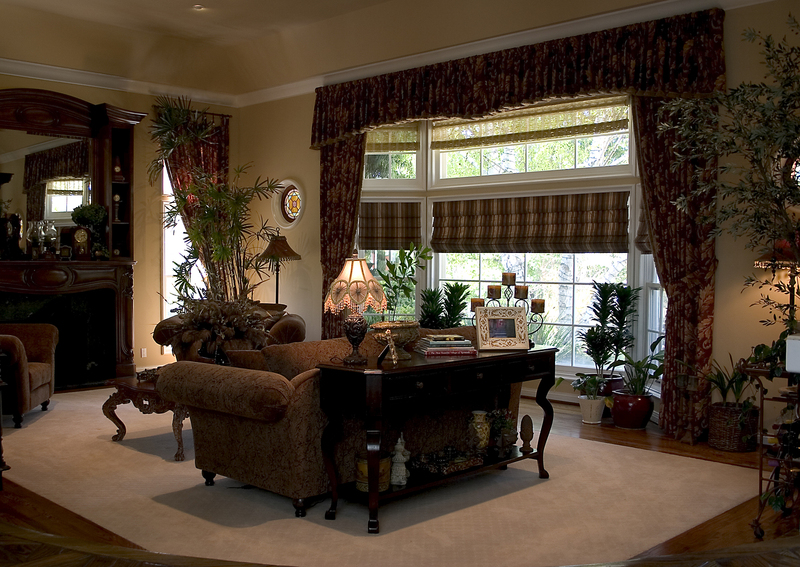 People who are looking to add a subtle hint of style and energy can go with curtains that have small dots or paisley.